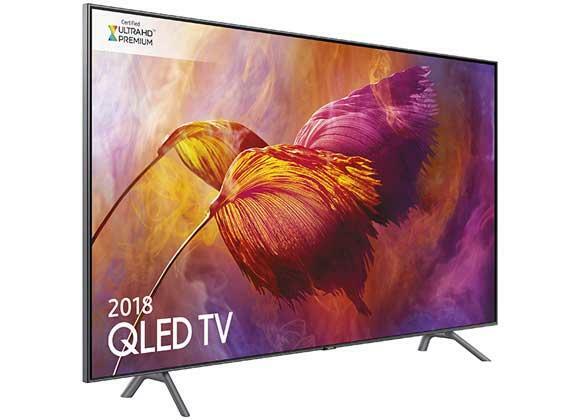 The Samsung QE55Q8DN 55 inch QLED TV features second generation QLED screen. Full array LED illumination and a PQI 3600 (Picture Quality Index). In addition, this screen is Ultra HD Premium Certified, HDR 1500 & HDR10+ compatible. 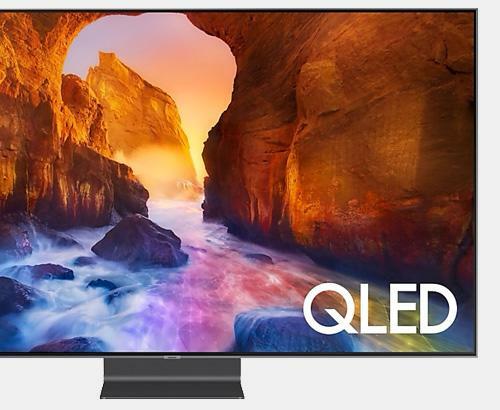 Samsung's QE55Q8DN is part of the flagship QLED TVs from Samsung. This 4K HDR TV is one of the best flat screens available on sale. 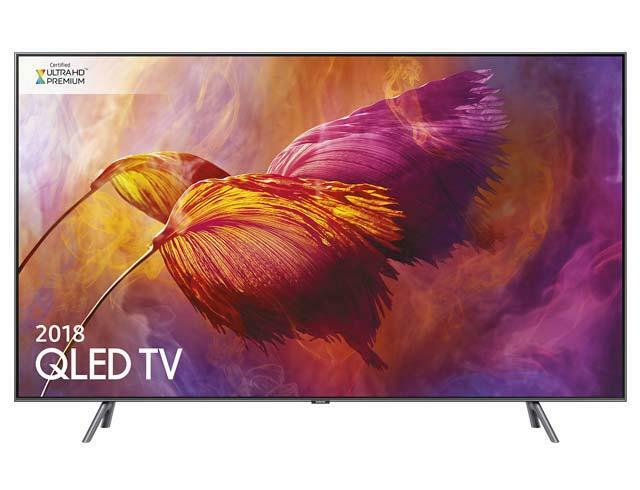 The Samsung QE55Q8DN QLED HDR 4K TV is Samsung's second generation 4K HDR QLED television. Bringing a quad core processor to provide one of the fastest Smart TV platforms available. Tizen is the all new smart platform providing full access to catch-up TV services and provides an intuitive interactive interface to this QLED HDR 4K television. 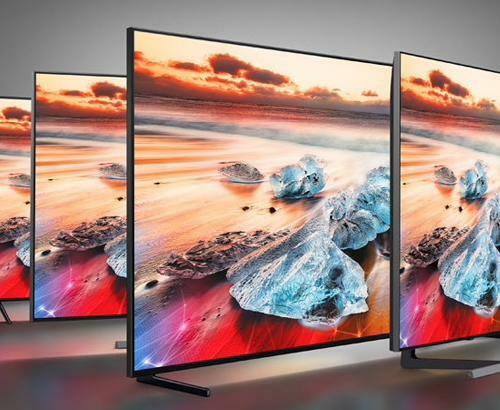 The design of the Samsung QE55Q8DN HDR 4K TV is focused on the premium and luxury. Featuring a 4 way bezel-less design to give the most immersive experience possible. Sitting this television on pedestal stand reveals a beautiful crafted minimalistic design with the front of the stand barely being noticeable to help keep you more immersed in the stunning image quality this TV has to offer. The Q8DN Series features the screen technology of the 2018 Q9FN Series but without the One Connect box allowing you to plug all your AV equipment directly into your TV, this setup is more suitable for those who still want the TV to be sat on top of a stand as opposed to wall mounting (which is also possible with the Q8DN Series). Or if you already have cables routed through your wall. 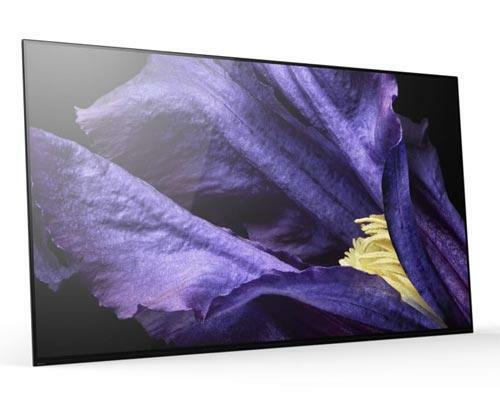 The Samsung QE55Q8DN features Samsungs second generation QLED Panel, the latest and best LED produced yet from Samsung. Our installation service covers the whole of Greater Manchester and also many parts of Lancashire. Our prices are constantly monitored to ensure that we are as competitive as national retailers. This Samsung QE55Q8DN is also available with a bespoke white glove delivery and installation service.